If you're worried about your Primo ceramic grill not being able to handle your slow-roasting needs, forget it. 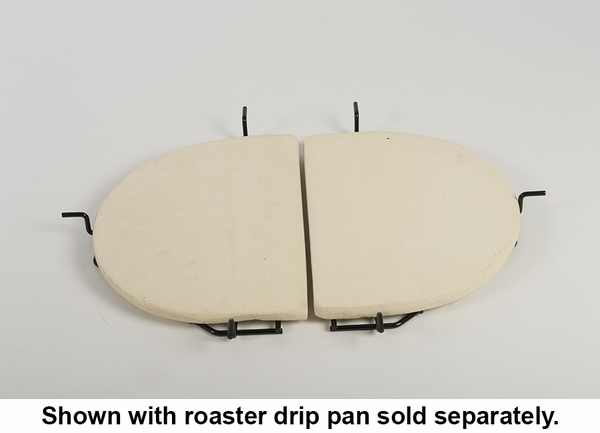 Using this Primo Set of 2 Ceramic Heat Deflector Plates for Oval Extra Large Ceramic Barbecue Grill can instantly convert your Primo ceramic grill into a multi-function cooking machine. You simply set the pair of ceramic plates on the drip pan, diffusing the heat of the coals beneath. This allows you to slow-cook foods with indirect heat, or even use the grill as an oven for baking foods. A Primo ceramic grill is already one of the most versatile cooking tools available. 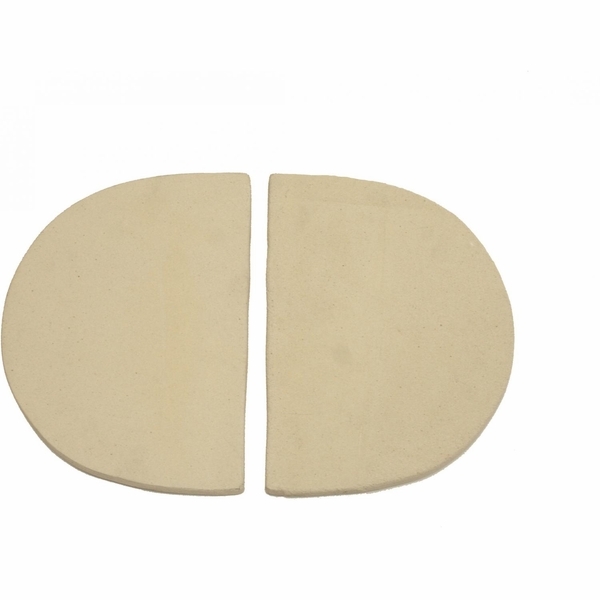 You can really kick your outdoor cooking into high gear, though, by adding the Primo Set of 2 Ceramic Heat Deflector Plates for Oval Extra Large Ceramic Barbecue Grill to your arsenal. WARNING: Burning charcoal in this product can expose you to checmicals including carbon monoxide which is know by the State of California to cause birth defects or reproductive harm. For more information go to www.P65Warnings.ca.gov. I purchased this item in mid December and has been too cold use. I'm sure will work just fine for indirect cooking. The price was cheaper than anywhere else. A little pricey? Yes, but I plan to use them forever, because my Primo Grill is the last barbecue grill Iâ€™ll ever buyâ€”itâ€™s great!